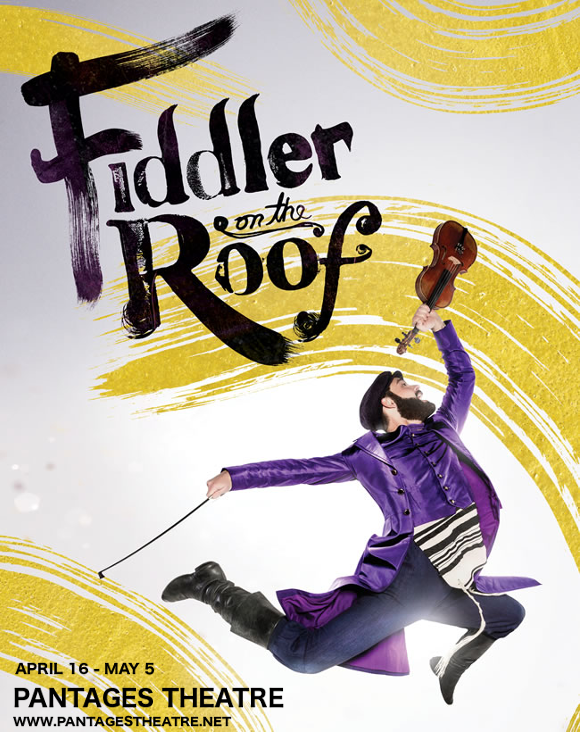 Get ready for one of the greatest stories ever to grace Broadway – Jerry Bock and Sheldon Harnick’s classic Fiddler On The Roof. Tevye and his Daughters (or Tevye the Dairyman) by Sholem Aleichem. Advance booking is strongly recommended for the best seats! Choose your show from the list below and book online now. Drawing from the Solem Aleichem tale as well as taking inspiration from Life Is with People, by Mark Zborowski and Elizabeth Herzog. the story is set in the Pale of Settlement of Imperial Russia, centering around the character Tevye and his five children. 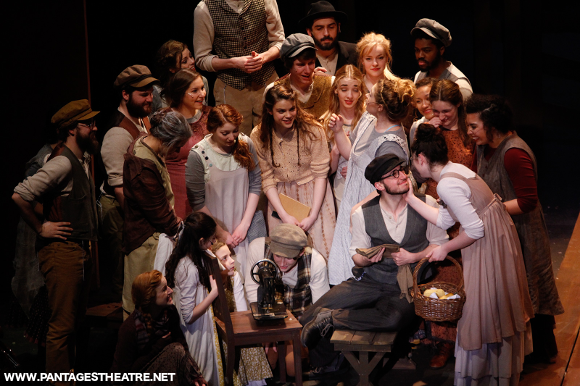 The musical explores the struggles experienced by the family as Tevye attempts to maintain his strong Jewish values and traditions over the wishes of his oldest three daughters, who want to marry people he increasingly disapproves of, and the edict of the Tsar that results in the eviction of Jews from the village. 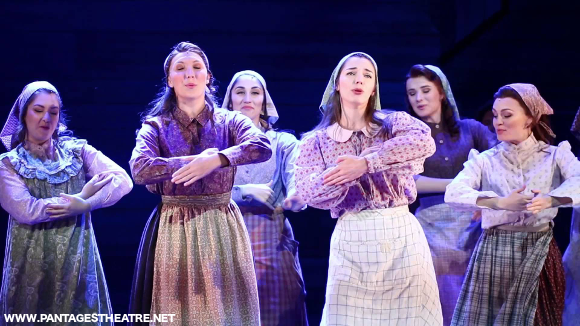 Told with warmth and humor, Fiddler On The Roof is a touching tale about the very real struggles of maintaining clear judgement and making the right choices where religious tradition and family life come into conflict. Prior to the show’s first run on Broadway, investors were reluctant to promote the musical. Rodgers and Hammerstein and then Mike Todd both considered it, then dropped the idea. Some expected it to be “too Jewsish,” to appeal to a mainstream audience, while others, conversely, criticised it for being too far removed from the original script – the book is significantly darker, gritter and with a far less pleasant ending than the musical. However, when the production did make it to Broadway, it’s popularity proved all the skeptics wrong. The show’s first Broadway production, opened in 1964, became the first ever to be performed over 3,000 times, and held the title of longest-running Broadway musical for an astonishing ten years before the musical Grease took over that record. Today, it comes in at 16th longest-running. It’s no wonder – the musical was incredibly well-received by audiences and critics alike, and went on to win an amazing nine Tony Awards, including Best Musical, score, book, direction and choreography! To date, the musical has been revived on Broadway five times, and turned into a film in 1971 of the same name. Its enduring worldwide longevity and stripped-back production has also made it a popular choice for schools and theater groups. 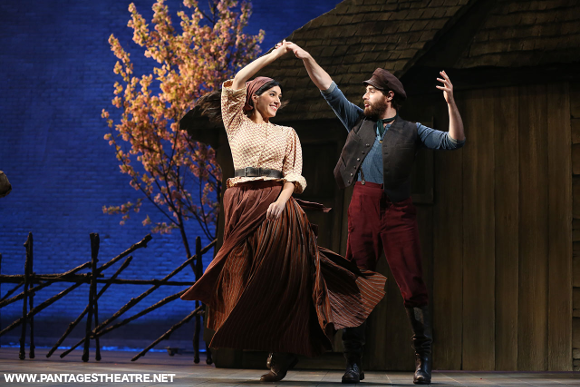 Fiddler On The Roof struck the perfect balance between Jewish authenticity and general accessibility. Today, it holds the status of one of the best-loved of classic Broadway musicals, as well as serving as a well-know reference point in popular culture.